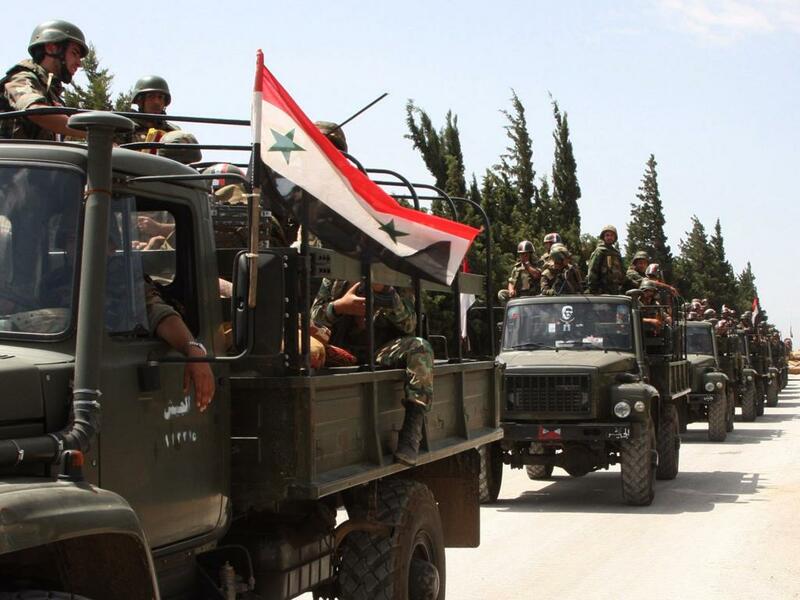 In Syria, the army occupied the last major stronghold of ISIS on the way to Dair al-Zor. This is the last important stronghold of the caliphate in the central part of the country. This was reported by the government news agency SANA. This means that the rumors of the Al-Sukhnah taking off from August 5 have been officially confirmed. According to local sources and sources in the troops, the storming of the city was not easy. But at the same time, the Republican Guard, supported by units of allied militias, as well as Russian military aircraft, behaved tactically correctly. According to the same sources, in Sukhna, the IG lost many people, including the Emir, who commanded the defense of the city. Throwing a large number of weapons and military equipment, the terrorists fled into the desert. This, in fact, means their total defeat in central Syria, because they have no more reliable strong points here. Thus, the road to the blocked and besieged three cities of Dair al-Zor opens up to the government troops. The terrorists will not be able to exert strong resistance either because they have practically no heavy armored vehicles on their hands. The Syrian army today exceeds them in numbers, in technology and, most importantly, in what was before the Achilles' heel of its command - in tactics. After a number of last year's defeats, the Syrian commanders were strictly instructed to listen to their Russian advisers - in the last actions of the army the Russian military school is clearly visible. After the fall of Sukhnah, a whole range of opportunities opens before the Syrian troops. The evidence of the task of liberation of Deir-ez-Zor is spoken by everyone. However, while the besieged garrison is holding - and reinforcements are sent there permanently - a very interesting option is to strike in the north from Sukhnah - on forces operating on the east of Rakka. But whatever option is chosen, the transition of Sukhnah to the control of the government in Damascus means a very heavy blow to the Islamic State.